Springtime is prime season for tackling projects that have been lurking for months—closets, pantries, renovations—you name it. With the long list of to-dos, the one that is always avoided is the biggest storage room of all—the garage. 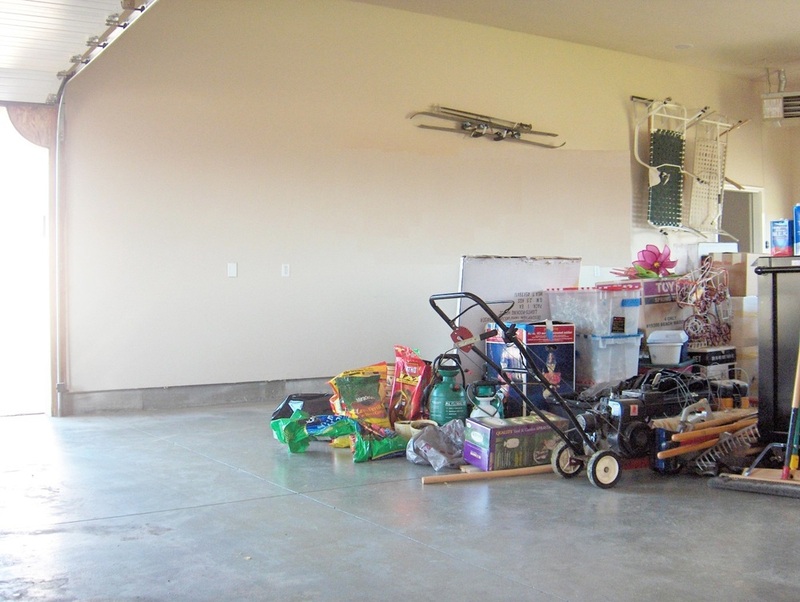 If you’re anything like me, your garage has become the king of random storage and clutter. The monster of a garage can be a hard starting point for complete home organization, but with these simple tips, you’ll see how easy the rest of the house can be. One main source of clutter comes from not recycling what we don’t use. Once you’ve gathered all your items to the center of the garage, decide what has gone untouched for a year or more. Chances are, those items are the ones you can recycle and can therefore make space for more important items. Create a donation pile to take to your local Goodwill. This reduces half the clutter instantly. What you have left in the pile are the things you want to organize. Now, is the moment you can stop the messes once and for all. Boxes are great for storing a lot of small items, but shouldn’t take up the majority of floor space. Invest in garage storage systems that last, like a garage cabinet or sturdy garage shelves. Take a look at the difference a few storage products can make. Now that you have a place to put all your items in a systematic way, you can use the increased floor space to park your car and work on more enjoyable projects. With a large, clean room, you can even have a place to haul out more clutter from inside the house and use it as a sorting area. Simply sweep the floor to create a cleaner space. If you want to take your garage to the next level in aesthetics and functionality, you can also apply a smooth epoxy floor coating to create a durable, stain-proof surface. Use this clean space to organize piles of clothes, papers, tools, or to give your car a nice detail. No matter the size of your storage piles, you can experience the rewards of organizing your home. Make this peevish process a fun one by playing music or recruiting friends to help. Your structured system for creating a clean garage will make home organizing a breeze. In less than a day, you’ll go from dreading the sight to loving the atmosphere of your brand new garage. Remember: Inch by inch, organizing is a cinch! For more lifestyle changes check out Fort Wayne Trails: Paving the Way!